Confession: I have been putting these socks on the back burner for an embarrassingly long time. I started them in March. 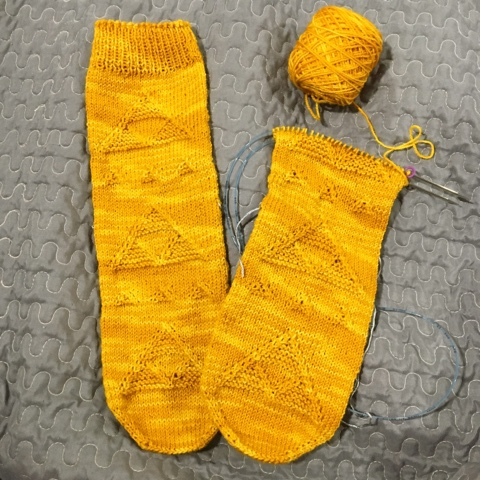 *gasp* Ok, maybe that's not actually that long of a time, but I promised my husband finished socks in the beginning of Spring and we are now in the middle of Summer! For some reason I just lost my sock mojo with these. Perhaps I was all socked out, or maybe it was me just wanting a simple mindless project that didn't involve charts? Either way, I need to finish these!